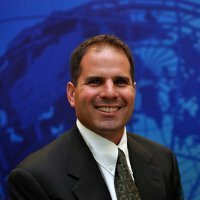 James Dworkin has over 10 years of experience in the settlement services industry, including positions at TransUnion and Kroll Factual Data. He has received many awards for top sales and achievements. James believes that providing top customer services and listening to clients’ needs can go a long way in building strong long lasting client relationships. In his spare time James is considered an amateur triathlete. He has participated in almost 200 races over a span of 20 years. He is a member of the Silicon Valley Triathlon Club. James also has his Life & Disability license for the state of California and a member of the National Investor Relations Institute. Originally from Cleveland, Ohio, he moved to the Bay Area when he was pretty young then resettled in the area again after graduating from Arizona State University.